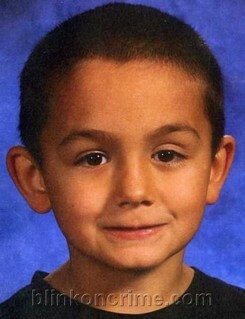 Boise, ID– The body of 8 year old missing Boise child Robert Manwill has been positively identified as confirmed by sources on the scene speaking to blinkoncrime on the condition of anonymity. Yesterday afternoon, authorities pulled the body of a small boy matching Robert’s description from the New York canal in rural Ada County, Boise. Robert was reported missing by his Mother Melissa Jenkins, after 9:30PM on July 24th.. However, sources inside the investigation believe that timeline to be considerably off. In the past 3 days, the Boise Police asissted by the FBI and Team Adam, appeared to be narrowing their focus as they cordoned off portions of a landfill, began excavating the backayard of Evan Wallis, and were seen removing large pieces of carpet and other evidence from the apartment of Robert’s Mother and her boyfriend, Daniel Ehrlick, Jr.
Mr. Wallis alleges his truck, a Chevy Suburban, which may be tied to Robert’s disappearance, was stolen from his home on July 22nd and recovered by him upon his return Monday July 27th from a weekend away. Ms. Jenkins is currently on probation for fracturing the skull of her infant daughter.